Index of Symptoms-guides you easily from the symptom experienced (by yourself or others) to the sections in the book where relief of that symptom from a particular practice has been repeatedly demonstrated. Breathing Techniques-Abdominal Deep Breathing, Diaphragmatic Breathing, The Complete Breath. Guiding Principle: When experiencing excessive or prolonged episodes of stress, our muscles have a tendency to tighten, our breathing becomes shallow and our reasoning/problem solving ability diminishes due to a lack of fresh oxygen to the brain. In this state, we sometimes say and do things that we regret. The Relaxation Response-developed by Dr. Herbert Benson, Harvard Medical School, 1968. Guiding Principle: Positive physiological changes in the body occur through the silent, mental repetition of a relaxing word or phrase; heartbeat and respiration slow down, need for oxygen decreases, blood pressure and blood sugar are reduced and, over time, there is a decrease in the rate of physical aging as the metabolism slows down. Autogenic Training-developed by Dr. Johannes Schultz & Oskar Vogt, Berlin, 1932. Guiding Principle: The pictures we create with our minds can directly influence various bodily responses toward renewed health and relaxation. Guiding Principle: The emotions connected to nagging situations from the past are unnecessary and detrimental to enjoying life in the present. It is possible to remember and learn from the past without dredging up painful feelings. Learn to quickly and effortlessly forgive yourself and others. Guiding Principle: The mind is only at rest when it focuses on a single thought or item. Use this practice to develop your concentration, listening ability and memory. Muscle Relaxation-Progressive Physical, Mental and The Complete Breath technique. Dr. Edmund Jacobson, Chicago, 1929. Guiding Principle: Anxiety-producing thoughts create muscular tension. Muscle tension leads to physical discomfort and irritability. Muscle relaxation reduces these conditions at their source. 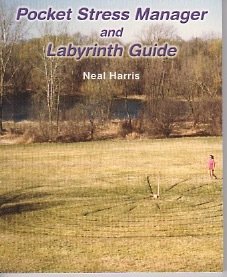 Guiding Principle: A labyrinth is a vehicle for assisting mental focus, group cohesion and spiritual connection, that has been used by many cultures and religions at numerous times throughout history. Today, it is labyrinths serve a holistic function; to further those who are on the path to a more balanced psychological, emotional, spiritual and physical sense of well-being (Torrez, 1994). Labyrinths are found at hospitals, public and private schools, universities, prisons, churches, parks and private settings. stress. Our reality is shaped by these internal statements. Put simply, affirmations are self-statements that affirm your right as an individual to embrace and achieve the kinds of changes in yourself that you choose to make. Guiding Principle: Our true nature is to be at peace. Guiding Principle: Creating body responses through use of mental images. Guiding Principle: Unwanted and unproductive thoughts may be arrested before they induce harmful emotional states and diminish physical or emotional health.